Oceń ten Artykuł Get your comic fix with Comixology’s extensive database of old and new, digital comic books! 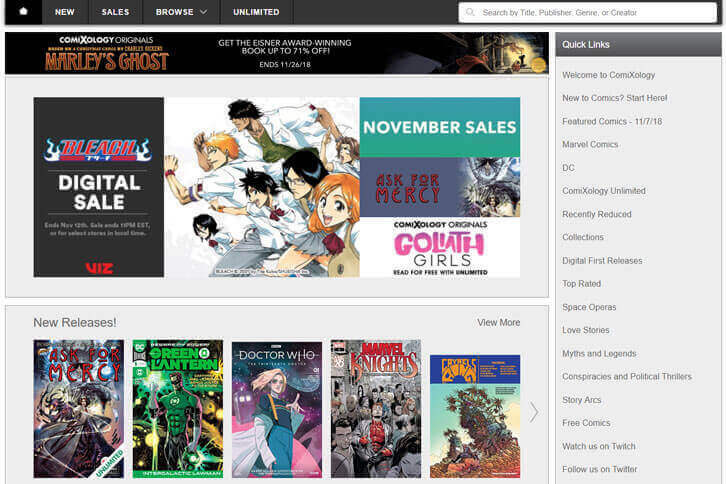 This is why the conglomerate Amazon has decided to set up a dedicated marketplace exclusive for comics, graphic novels, and manga. Dubbed as Comixology, a nice wordplay on the words, “comic” and “mixology”, this website features a wide range of comic books, graphic novels and all in one neat and convenient place for you.